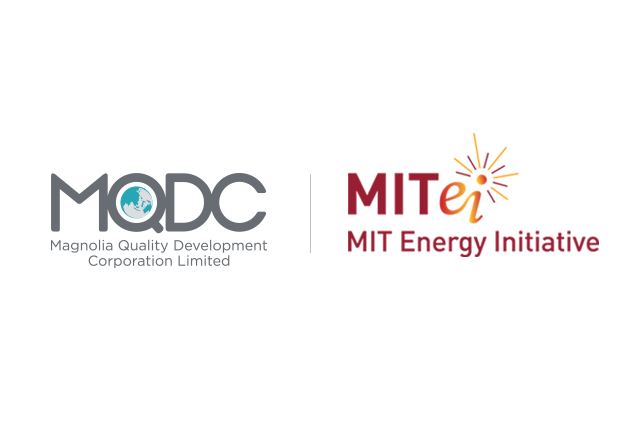 MQDC will join MITEI’s Low-Carbon Energy Center for Electric Power Systems Research. CAMBRIDGE, Mass. 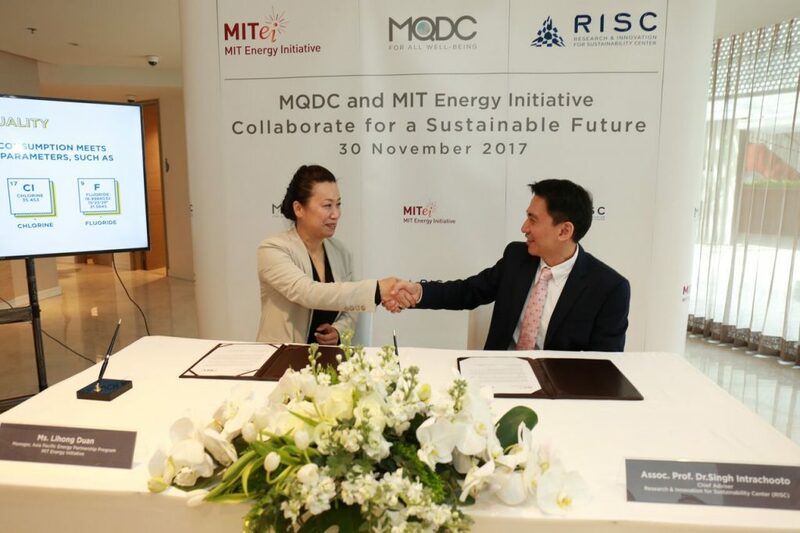 – To enhance the sustainability of homes and property projects in Thailand, Bangkok-based property developer Magnolia Quality Development Corporation Limited (MQDC) has joined the MIT Energy Initiative as a member, with a three-year membership agreement in MITEI’s Low-Carbon Energy Center for Electric Power Systems Research. MQDC is joining MITEI to reduce greenhouse gas emissions from property projects in Thailand, through both optimizing its own developments and providing consultancy to other firms in the sector. MQDC’s Research & Innovation for Sustainability Center (RISC) will work with MITEI in the collaboration. RISC focuses on in-house and sponsored research to drive innovation in energy and water efficiency for home environments, and also works to make construction techniques and materials more sustainable. The electric power systems center is one of eight Low-Carbon Energy Centers that MITEI has established as part of the Institute’s Plan for Action on Climate Change, which calls for engagement with industry to solve the pressing challenges of decarbonizing the energy sector with advanced technologies, including energy storage, solar, and bioscience, to name a few. The centers build on MITEI’s existing work with industry members, government, and foundations. Lihong (Wendy) Duan, manager of the Asia Pacific Energy Partnership Program at the MIT Energy Initiative, and Singh Intrachooto, chief advisor of MQDC’s Research & Innovation for Sustainability Center, shake hands during a signing ceremony to launch the collaboration. MITEI’s electric power systems center aims to accelerate an efficient transition toward a decarbonized power sector by leveraging and integrating MIT’s cross-disciplinary expertise. Through quantitative analysis, the center studies the impacts and system level implications of emerging technologies, evolving business models, and regulatory and policy dynamics that are shaping the future of the sector—building on the groundwork laid by MITEI’s 2016 ‘Utility of the Future’ study to help guide the evolution of the electric grid. One of the core thematic areas that the center examines is the role of the built environment in the power system of the future, including identifying effective and efficient means by which the built environment can contribute to decarbonization and improved sustainability of the power system, such as clean distributed energy generation and smart efficient consumption. The center is led by co-directors Francis O’Sullivan, MITEI’s director of research, and Christopher Knittel, the George P. Shultz Professor of Applied Economics. Magnolia Quality Development Corporation (MQDC) is a business unit of DTGO Corporation Limited (DTGO) that develops, invests in, and manages villa, condominium, and mixed-use projects. As a division within the property developer MQDC, the Research & Innovation for Sustainability Center (RISC) has contributed to several of Thailand’s best-known and most environment-friendly building projects, such as the award-winning WHIZDOM 101 mixed-use development. RISC is Southeast Asia’s leading research base for sustainable buildings with a focus on well-being. RISC’s focus areas including construction techniques and materials, water- and energy-saving technologies, and the optimization of home environments for well-being through lighting, ventilation, and ‘universal design.’ Facilities at RISC’s Bangkok headquarters include experimental and testing facilities and a library of environment-friendly materials. RISC makes its resources publicly available to spur change within the Asian property sector. More information is available at mqdc.com.